Enjoy the best forest walks and Juku post towns on the feudal Nakasendo route, before heading into the Oku-Hida mountains to explore the biodiverse Kamikochi, ending the tour with excellent hiking and Onsen in Oku-Nikko. An easier walk of 6.2km / 3.9 miles taking 3 hours is also possible. Today enjoy a hike in the mountains of Oku-Hida (also referred to as Okuhida), providing stunning views out over the local range. Travel by bus to Matsumoto first and Karuizawa where you will stay this evening. 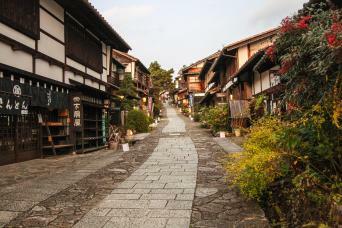 As an alternative to the walk, you may like to visit Takayama, an engaging historic town before heading onwards. 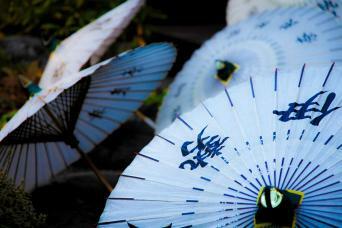 Takayama is well-known for its crafts, particularly yew-wood carving, Shunkei lacquerware, pottery and furniture. You may also wish to explore the ruins of Takayama castle and walk along the east-side temples before visiting Karuizawa. 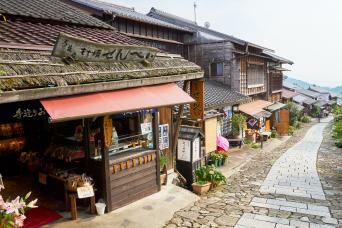 After breakfast, your final walk on the Nakasendo Trail is from Karuizawa to Yokokawa. Leaving Karuizawa, the trail takes you over the Usui-toge Pass and down a gentle descent along one of the most beautiful sections of the Nakasendo, and certainly the least-developed. From Yokokawa, board the local train to Takasaki and change there for your ride on the Shinkansen (Bullet Train) to Tokyo. The train journey takes around three hours and you will arrive in Nikko in the late afternoon. The walk can be shortened by 3.3km / 2 miles by a taxi ride at the start of the day. This morning, take a bus further into the mountains to Oku Nikko (also called Okunikko). The forests and mountains here have been sacred to the Japanese for 1,200 years, and your first hike in the area is a gentle introduction to the region following the Yukawa River towards the Onsen village of Nikko Yumoto where you will spend the evening. The hike also takes in two spectacular waterfalls - Ryuzu and Yudaki Falls. Heading north-east from Yumoto Onsen, today's hike offers exceptional scenery along the Oku Nikko plains, skirting both Mount Mitsudake and Mount Orogura. The trail loops around to the south before returning to Yumoto Onsen for a second night. Sightings of both monkeys and deer are common on this wonderfully rural trail.